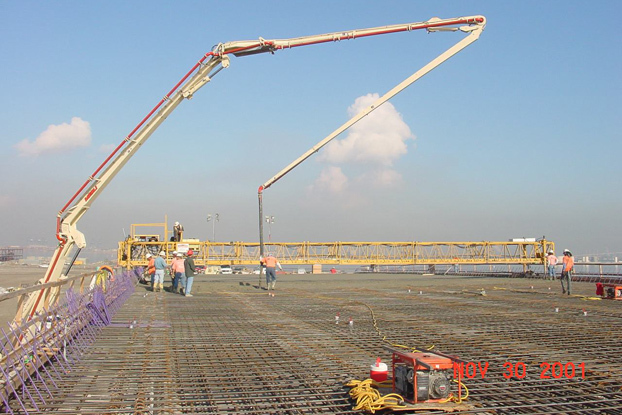 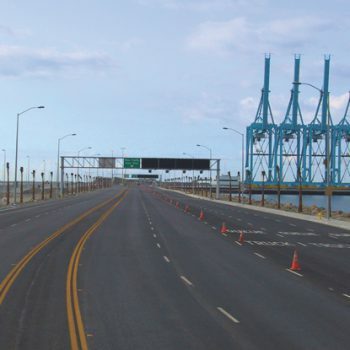 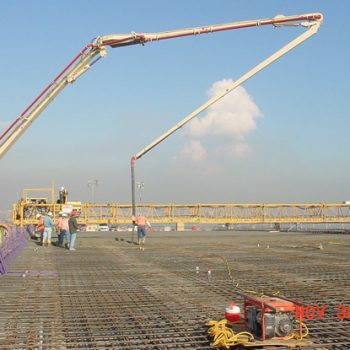 Griffith Company contracted with the Port of Los Angeles for the construction of two concurrent projects in the Pier 400 development, both for the trucking corridor. 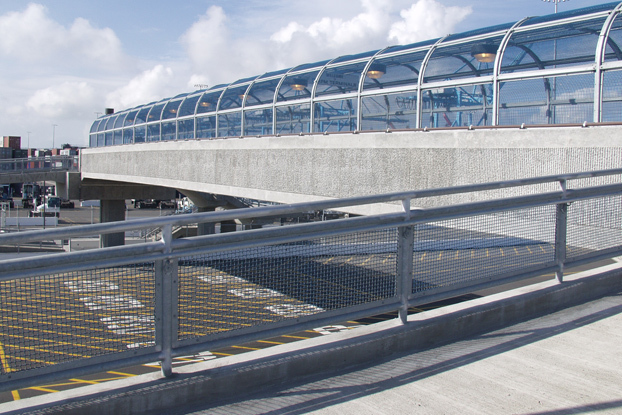 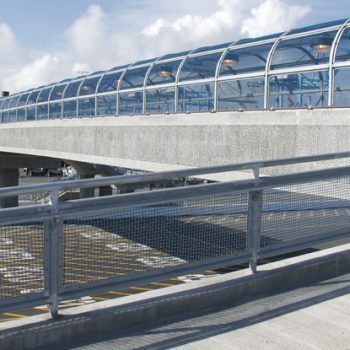 Access to Pier 400 and its $300 million of construction was channeled through our 130 foot transit way, leaving limited space to perform work in a productive manner. 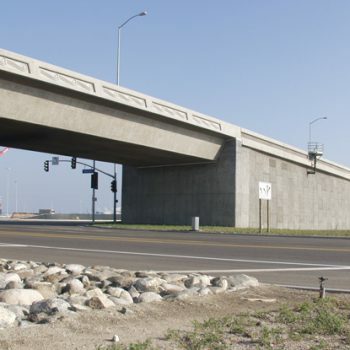 The owner’s aggressive twelve-month schedule with multiple milestones was tied with liquidated damages of $62,000 per day for late completion. 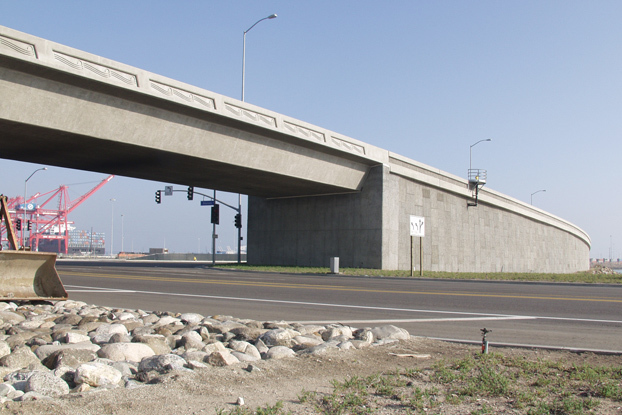 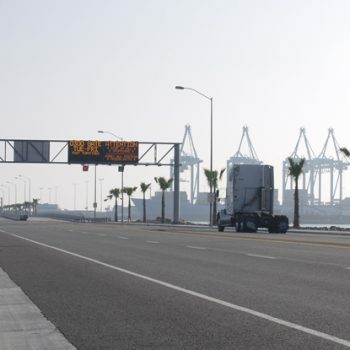 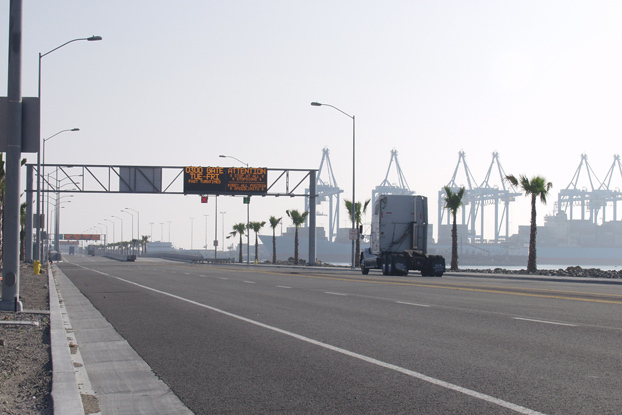 Project components included a grade separator bridge along with two pedestrian bridges, retaining walls reaching 40 feet at the highest point, a 21,800 linear-foot water system with 15,500 feet of 30-inch ductile iron pipe and a series of overhead signs with LED displays that allowed the port operator to direct traffic as they came onto the island. 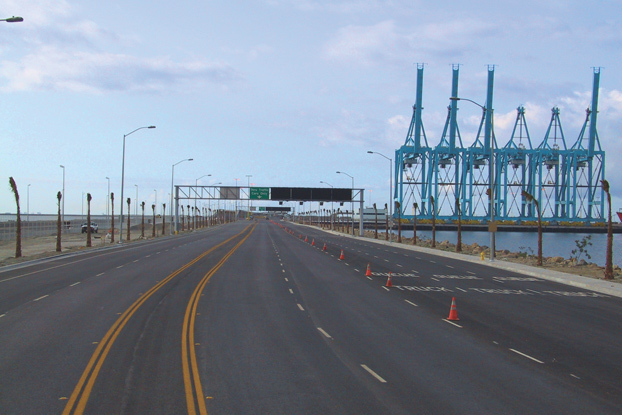 In the process of building the almost two miles of roadway, our team coordinated with ten outside agencies and kept access open for the construction of Pier 400.